Discover social selling practices more sales professionals are now doing on the go by using the LinkedIn and Pulse apps. One of the best things about social selling – aside from no more cold calling – is the ability to do all the activities that make a salesperson successful from anywhere. Both the LinkedIn app and Pulse app make your on-the-go life more productive. Both can be downloaded to your smartphone or tablet allowing you to engage in social selling before you hop in your car, board the train or hit the subway. You can connect with prospects or brush up on a particular prospect while waiting in a lobby. You can even read career-advancing advice when nature calls. Drive business. The LinkedIn app makes it easy to build your network, communicate strategically and achieve your sales goals, all from your mobile device. You get access to real-time information regarding your most important connections, which you can use to stay informed and capitalize on new opportunities. For example, say you just learned about an industry insight a key prospect of yours would appreciate knowing. With the tap of your finger, you can forward the information to your LinkedIn connection. This is a great way to both stay top-of-mind and become a trusted resource. Stay informed. The Pulse app is the digital newspaper for professional news and advice. It’s like having the elite business minds at your side on a daily basis. With Pulse, you can take your role as a trusted advisor to the next level when you leverage expert insights to curate valuable, industry-specific news. If you don’t have time to curate content, you can push relevant news to your connections by simply giving it a “thumbs up,” and it will post as a status update on your LinkedIn profile. Plan ahead. With mobile technology, you can use every minute of waiting time to your advantage. For instance, you can pull up your prospect’s LinkedIn profile to ensure you’ll instantly recognize the person you’re meeting. You can also check out the Company Page for up-to-the-minute news you can leverage in your conversation. Follow all your clients and prospective companies on LinkedIn, if you’re not already. To ensure you have time for the high-level activities that help you shatter sales goals, try maximizing your idle time by keeping a list of micro-tasks that you can complete when you have five minutes available. Focusing on the value of every minute frees up the bigger chunks of time needed to accomplish the revenue-generating activities that have the greatest impact on your social selling results. Dominate social selling from anywhere, at any time. 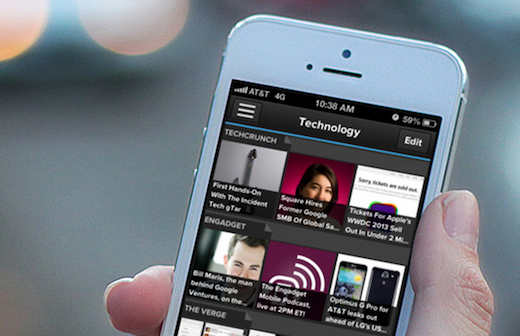 Learn more about social selling on-the-go with LinkedIn mobile apps.